Stefinus Guns 3D 1.7.10 is a mod that adds a lot of weapons and ammunition into the game. These new weapons are 3-dimensional, yes that’s it, when your character is holding one of these weapons, instead of appearing a flat object, the weapon will appear with different volume. These weapons are crafted from the start, piece by piece, by ourselves. To create them we need three main materials, iron, gunpowder and timber. These weapons add an ammunition recharge system, so we must also create our own ammunition. To recharge weapons, you should have the weapon boots filled in our inventory. Some examples of weapons that we find are rifles, pistols, shotguns, rocket launchers and sniper rifles, among many other options. 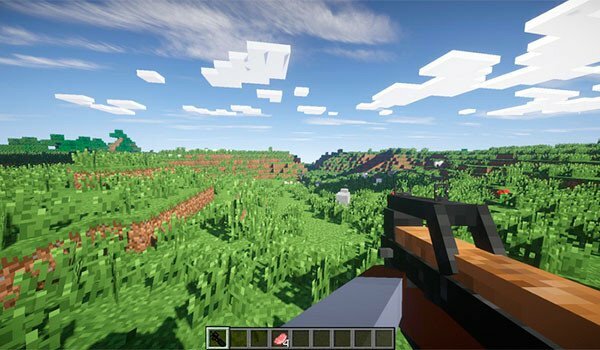 How to install Stefinus 3D Guns Mod for Minecraft 1.7.10?